Just had to let you know how pleased I am with my new side gate. From initially speaking to Jake at Stargates for information and where I could buy, to speaking to Sarah at Hendersons who was more than helpful and really went to a lot of trouble to accommodate my order – thank you Sarah. Yesterday two lovely men came to install the gate. From the moment I first met them I knew that there would be no problem with installation and they did not need to be supervised, I went out several times whilst they were here. 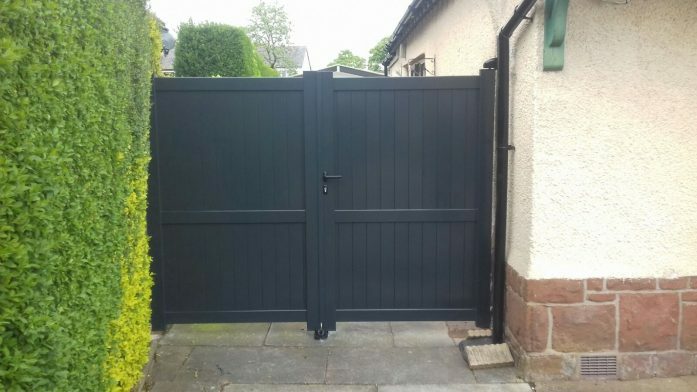 The gate is a quality product and really adds to the appearance of the house now, I have just been out to admire it again! I would be extremely happy to purchase again from Hendersons, you have a great team. It is a rare thing these days to get such excellent service. Thank you again.